Since a renewed interest in traditional metal work started in the 20th century, more and more customers are looking to introduce an element of ironmongery to their projects. While years ago it was referred to as the manufacture of iron goods, the term has expanded to include metals such as steel, aluminium, brass and even other materials. With new techniques being constantly developed, the potential for ironmongers is sure to become even greater. So let’s take a look at what sort of items ironmongery includes. Ironmongery is perfect for creating reliable and secure door handles which makes it ideal for both domestic and industrial use. An ironmonger will be able to produce a range of door accessories including everything from hinges, locks, handles and door knockers, just like our range here at TBKS. Since it’s not just iron and doors that ironmongers are limited to, they can create other utensils such as saucepans, roasting tins and much more. Not only is this beneficial for ironmongers to develop their skills, it is also great for the items that benefit from being made from a more suitable material. There is something unique and vintage about ironmongery and it is perhaps this factor that makes it a popular style for both interior design and builds. 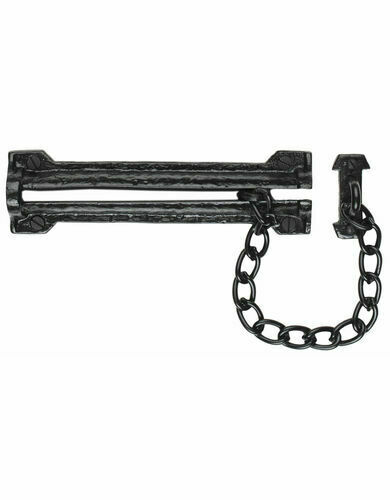 It is also strong, sturdy and reliable so traditional iron door chains offer excellent security. As ironmongery incorporates a variety of materials and products, it is no wonder that letter plates are just another example of how the techniques can be used. Simple yet stylish, these iron letter plates are a great of way styling your door furniture. Although these are only a few examples of what ironmongery covers, we hope this provides you with a slightly better understanding of the unique techniques used. At TBKS we always recommend that consideration is given to the ironmongery early on in the build or renovation process so that the client will be able to budget for their ironmongery choice. 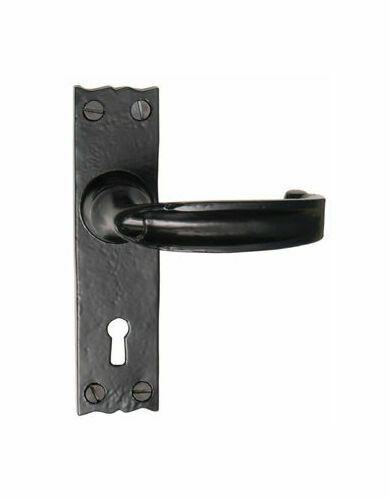 In addition, when choosing ironmongery ranges, you should always remember that ironmongery serves a dual purpose of needing to function correctly while still fitting the interior design style of your property. This combined requirement makes the correct choice of ironmongery all the more relevant. Although chrome and nickel plated items are relatively easy to keep clean, there are ways in which you can ensure the two materials are kept well for a long period of time. As the metals are relatively unreactive, they generally require little maintenance.